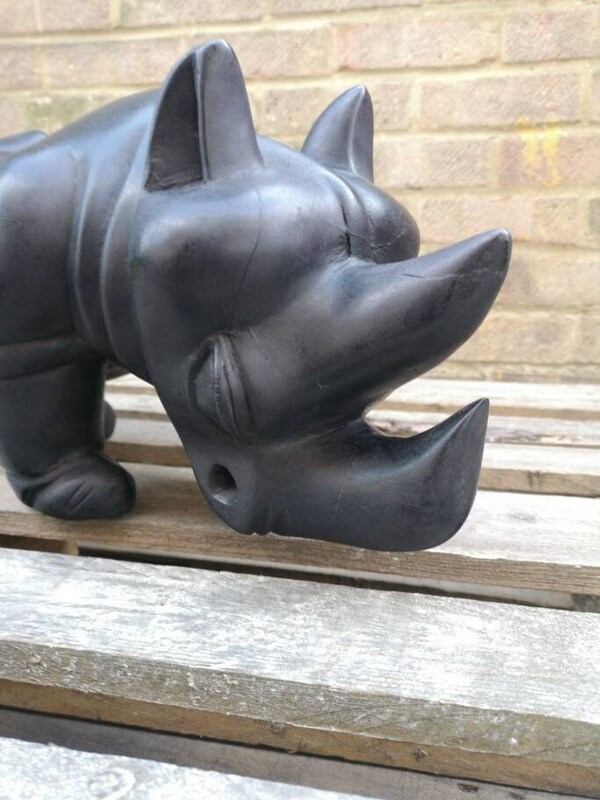 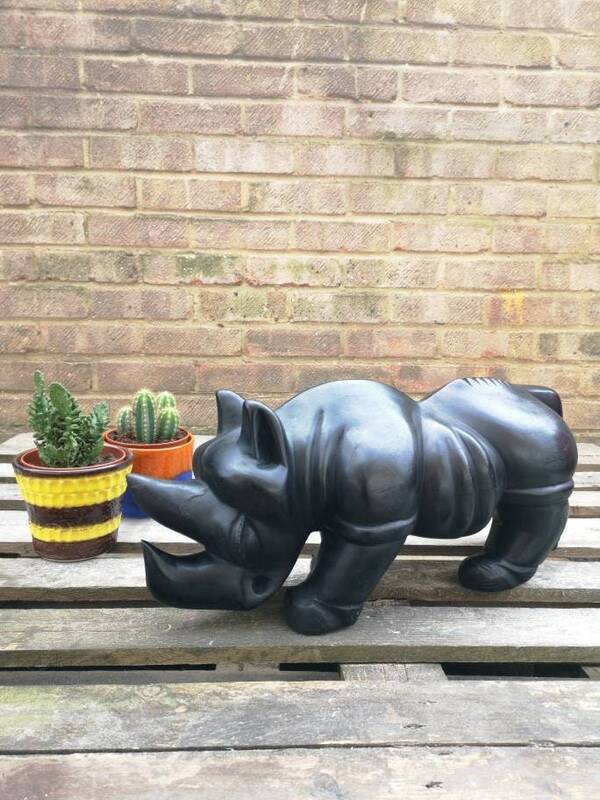 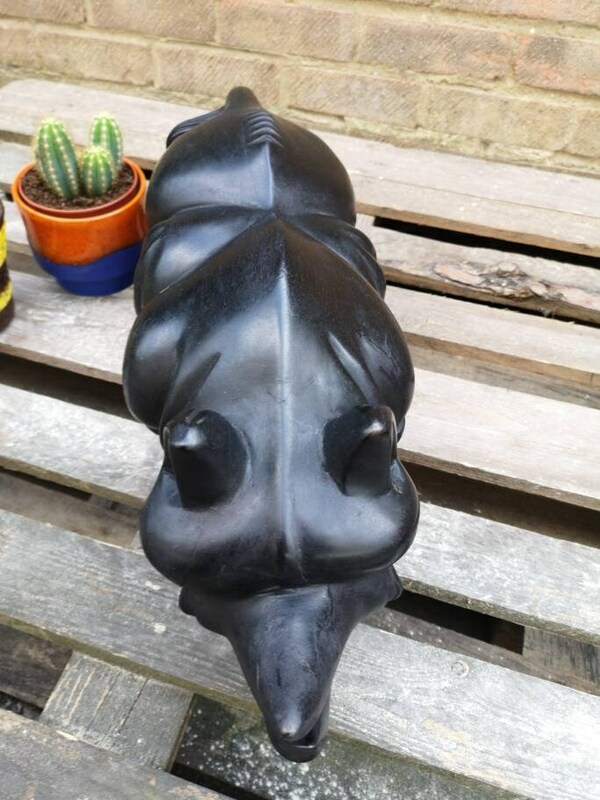 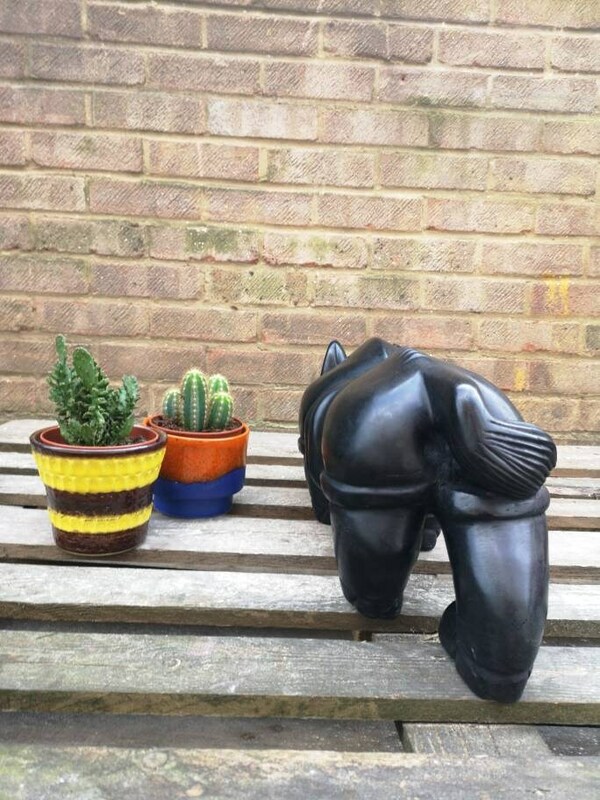 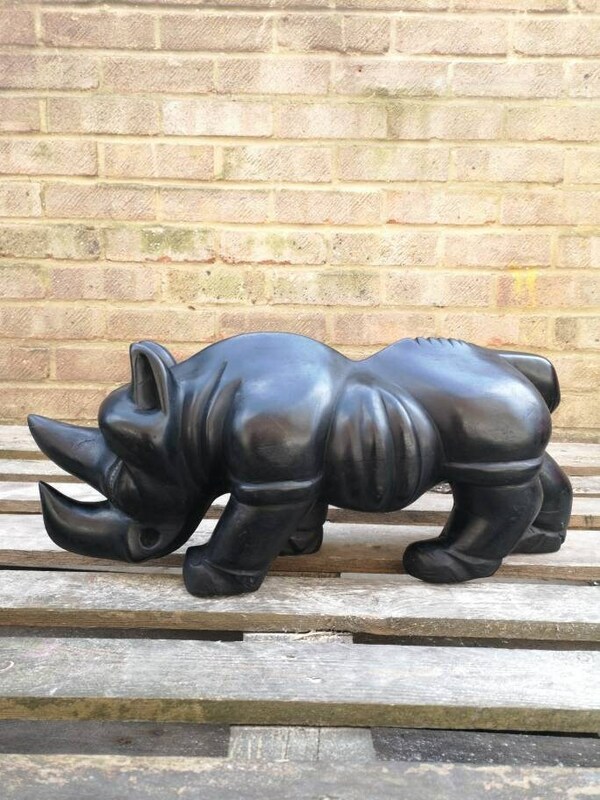 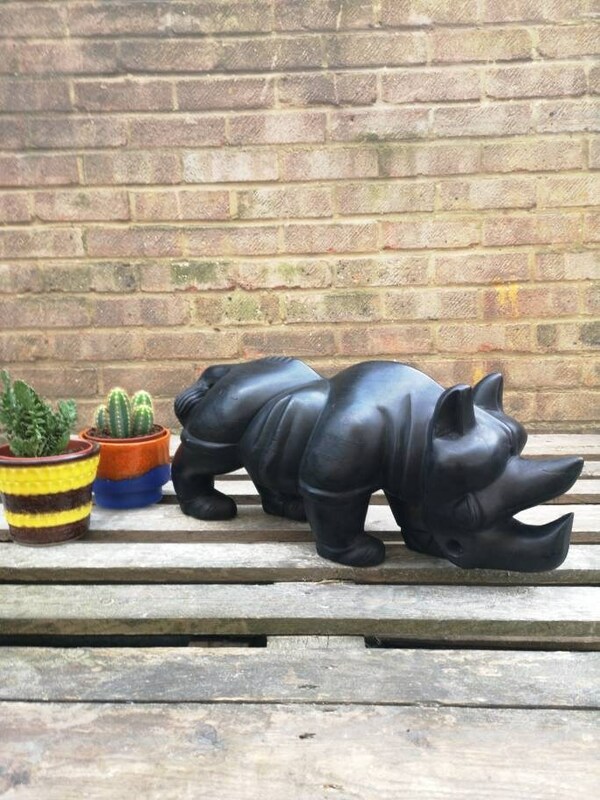 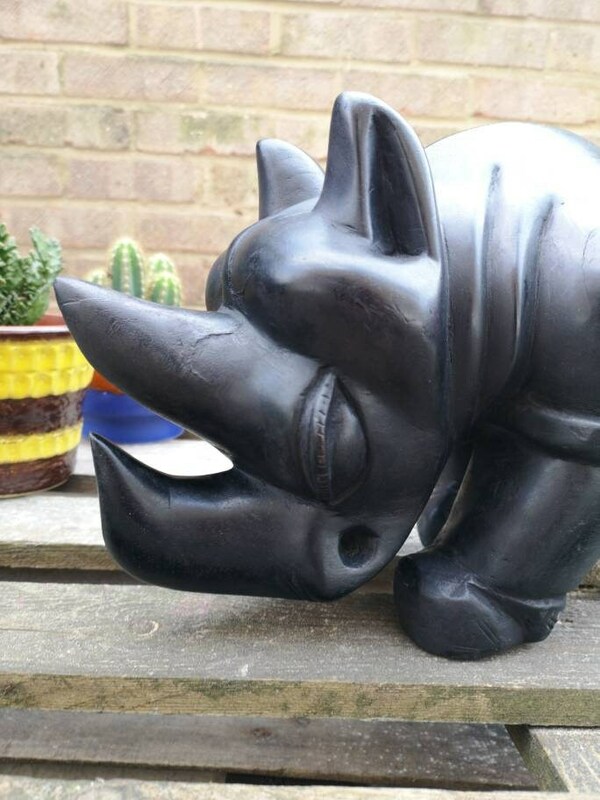 Vintage hand crafted African art, ebony wood rhinoceros. 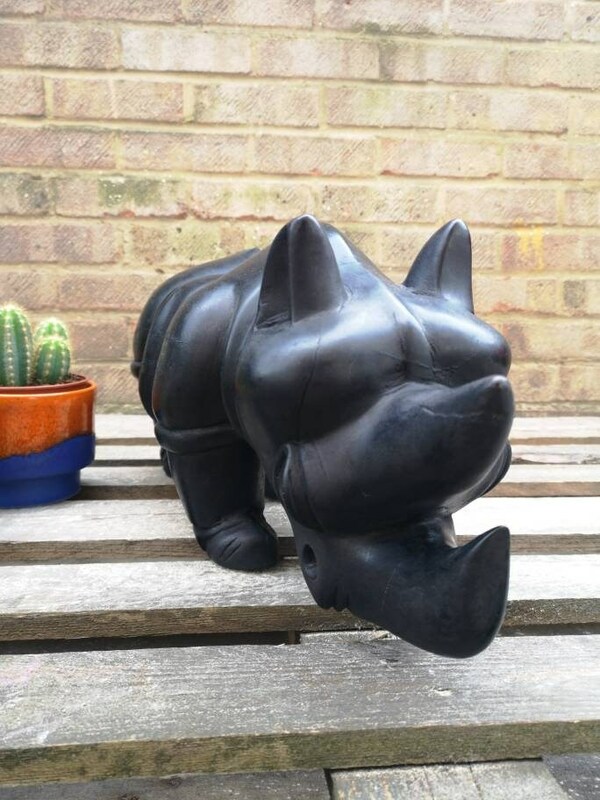 Hand crafted carved in the north of Mali. 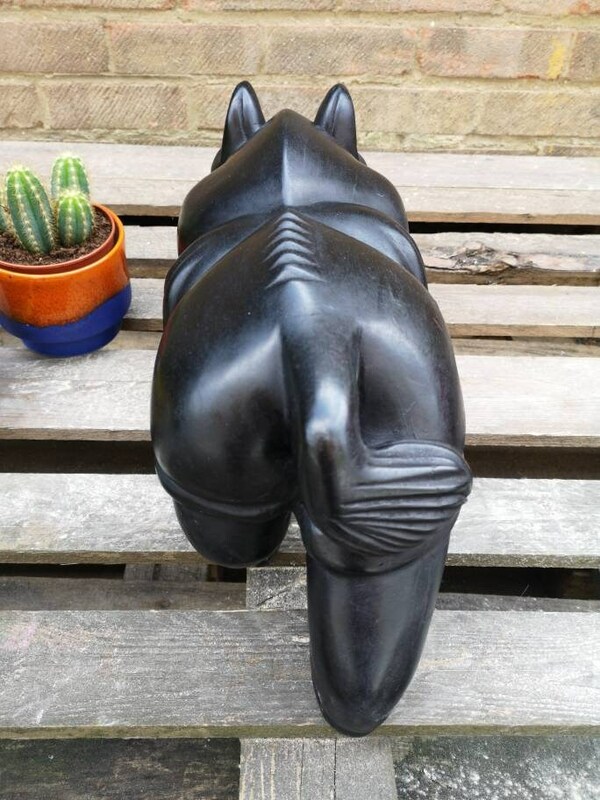 This item was picked up & shipped to England from Northern Mali by a collector in the 1970s. 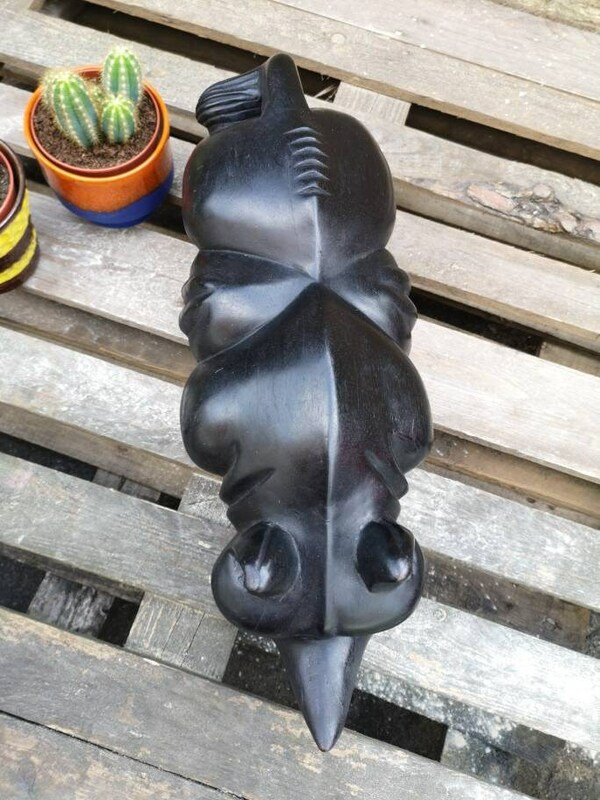 Height 25cm, Length 58cm, Width 20cm.